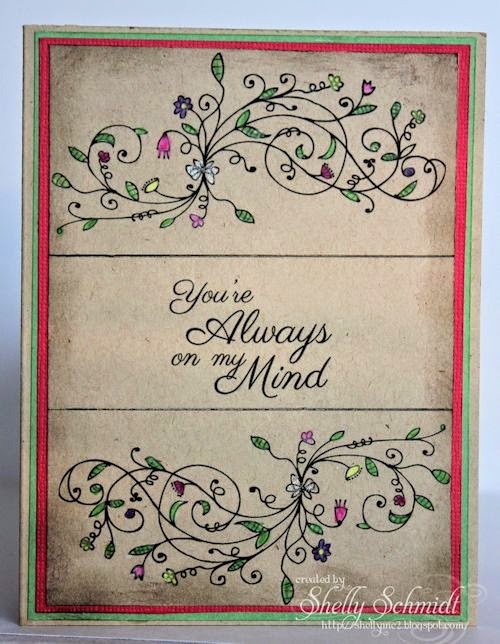 I used the new set Springtime Doodles (flourish) , and the sentiment is from the You Are Always on My Mind set. I used a Technique Junkie technique from Oct 2012 that I have not tried- called In the Middle. 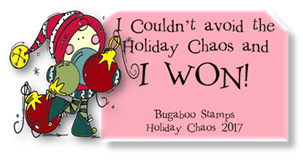 This card was inspired by Sweetie DT Caylpso's recent card where she colored on Kraft with Prismacolor pencils. I used the Springtime Doodles set for the main (heart) image. The sentiment is from the Simple Greetings set. The red flower embellishment is a flower from the Globecraft & Piccolo Butterfly Flurry Flourishes set, and it is covered first with Red Inka Gold Paint, then covered it with Gloss finishing glaze. Once that was dry, I added a rhinestone colored with a Copic marker. I also added some Fairy Dust Creative Inspirations Paint to the butterflies and the blue bird. Here is a direct link to the Monthly Challenge as well- 5/15-6/14-Dryer Sheet Flowers. You have a chance to WIN- winners drawn by Random.org. 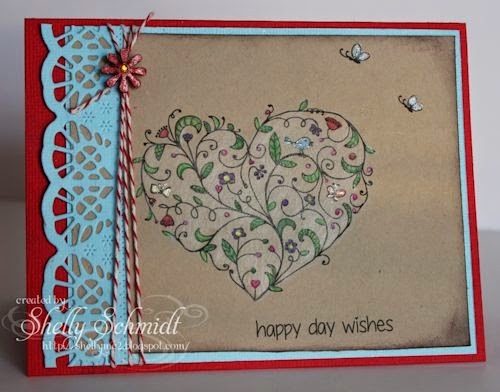 Beautiful cards Shelly - love the way you have coloured on the kraft card. Shelly they are both so beautiful!! Love the shading on your background! Very Nice!!! Both are stunning!!! Love the coloring on Kraft. So beautiful! These are beautifully elegant Shelly. Love the twin on the second. Totally love the vintage feel on this card and the subtle colors in the leaves and butterflies! 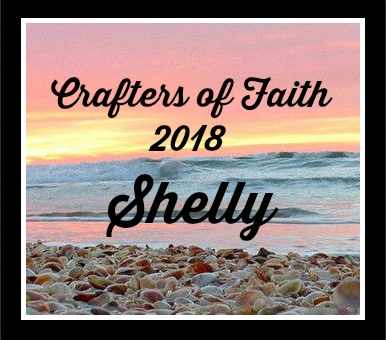 So sweet, Shelly! Love the Doodle images. Great cards! I'll try to join in on this challenge! Have a wonderful week! Oh, Shelly, I love that new Spring Doodles set -- it's so delicate and sweet. Fab coloring on the kraft! Lovely color combos on each one. Wow, what beautiful cards. 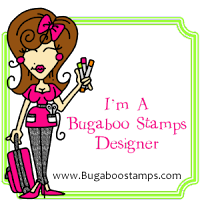 The stamps are gorgeous and you did such a wonderful job with them. This is absolutely STUNNING Shelly. These are so elegant Shelly. Love the flourishes and the color distressing. Two wonderful designs, love the dark edging and the kraft paper against the colored layers. What a pretty and delicate image. Love how you used it in these cards. Great coloring.